Throughout the world, System Integrators, OEM’s, Hardware Producers, Educational Institutions and Research Facilities are leveraging COPA-DATA’s superior technology, prompt personal service and common vision. In doing so they can maximize their profits, drive innovation, open doors to new markets and industries or solidify their customer relationships. Within the COPA-DATA Partner Community you will find a network of highly dedicated and motivated zenon experts. Registered Partner: Our partners always start as Registered Partners, and a certain knowledge and experience with zenon is already required at this entry level. Qualified Partner: At this level, our partners are more engaged and involved with zenon in different projects and have received specialized trainings. 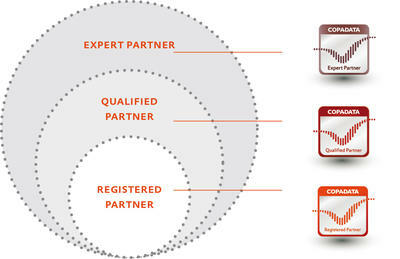 Expert Partner: Our Expert Partners possess the highest level of competence in zenon and engagement with COPA-DATA. These are partners whose expertise and commitment has been repeatedly proven. All partners are given the opportunity to upgrade their level depending on their own ambitions and dedication. Depending on the partner type (System Integrator, Educational Institution, etc.) the benefits and requirements might differ per level, but the essence stays the same: the competence of our partners is the key to success.